Deck the lives of the people closest to your heart with love by sending this Remarkable Combo Gift Hampers to Special Ones that beautifully conveys the message of your heart to them. This Combo Gift is presented with 1/2 Kg. 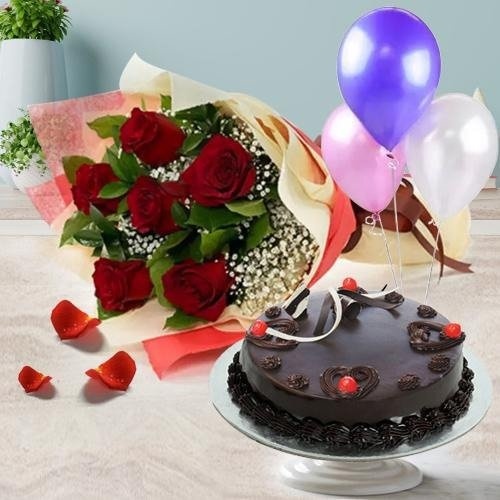 Truffle Cake, 6 Red Roses Bunch and 3 Balloons.